Kelly Bryant can make it a happy birthday for Arkansas head coach Chad Morris and give Razorback fans an early Christmas present all at once today by pledging he is going to be a Hog. Today is Morris’ birthday, and Bryant has been on record as today being the day he is going to announce his decision. Some have drawn conclusions from those facts throughout the young man’s recruitment after he opted to leave Clemson after losing the starting quarterback job there. We’ll know soon enough. The former Clemson quarterback has one final year of college eligibility and will use it as a graduate transfer. Contrary to a report late last week that his decision was down to Missouri and Auburn, where he visited last weekend, the Razorbacks remain in the mix with those two as well as North Carolina and Mississippi State. 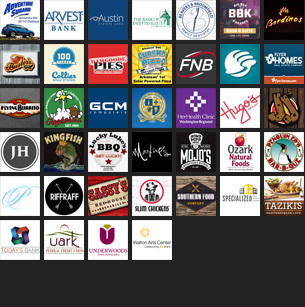 In these days of gloom, despair, and agony on the Razorback football program, it’s hard for many Razorbackers to believe that Bryant would pick the Hogs over those other schools, but his relationship with Morris goes back further than with any of the other coaches from programs in the mix. That may make a difference or it may not. Either way we should know something soon. As I’ve written before, if Morris can coax Bryant to playing his final year On the Hill, it will be a major coup for Morris and Arkansas. It’s hard for any program other than the creme de la creme of college football to out-recruit Auburn for a player it really wants no matter the situation. It’s unknown if the departure of Auburn offensive coordinator Chip Lindsey for the same position at Kansas would make a difference to Bryant, but I’d want to know who my offensive coordinator was going to be before opting to transfer there. If Bryant picks the Hogs, it will be the ray of hope for next season that Arkansas fans couldn’t find during the recently completed 2-10 season that saw the Razorbacks lose every one of their SEC games for the second time in six seasons. The other year was in 2013, Bret Bielema’s first year as coach. 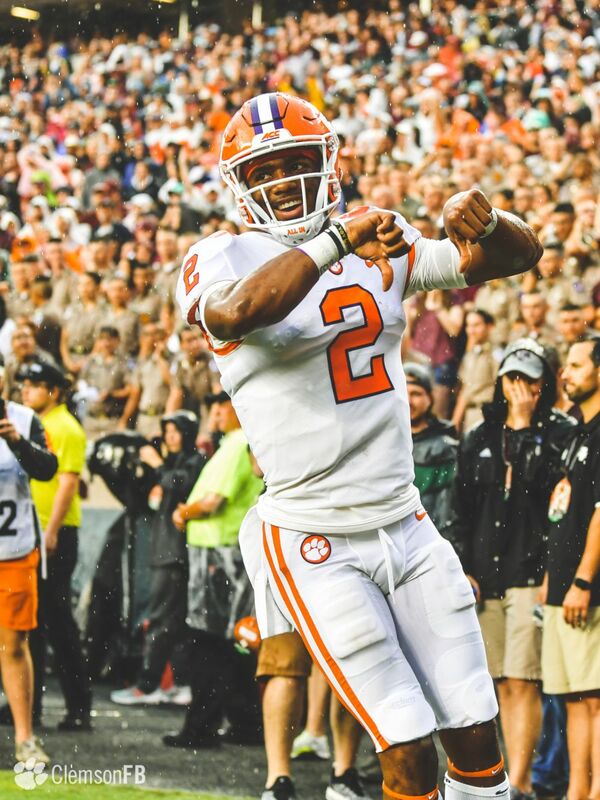 At Clemson, Bryant threw for 3,333 yards and 16 touchdowns, completing 310 of 469 passes against 10 interceptions. Bryant has good wheels, too, rushing for 987 yards and 16 touchdowns on 257 carries. Bryant would be the fit at quarterback for Morris’ offense that the head Hog could not find in any of the quarterbacks on campus this year. As gritty and tough as junior Ty Storey proved to be, he basically won the starting job by default when sophomore Cole Kelley proved to be too inconsistent and reckless with the football through three games. Incidentally, Kelley announced he was leaving the Razorback program on Monday, a decision he probably should have made after spring football when it was apparent his skill set wasn’t a great fit in Morris’ offense. Morris said last week that after a 2-10 season that no starting positions are set going into spring football, which opens on Feb. 26 and concludes with the spring game on April 6. As bad as this season was, two Razorbacks played well enough to distinguish themselves among the best players in the SEC. 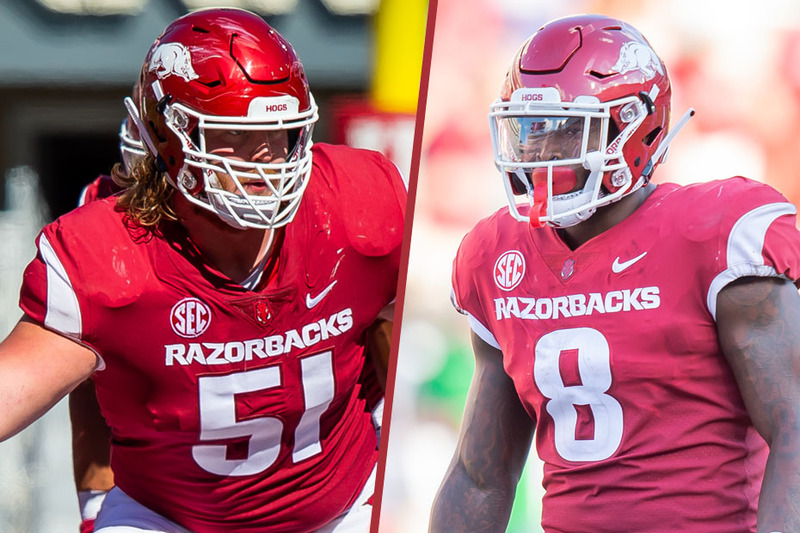 Junior linebacker De’Jon “Scoota” Harris and senior offensive guard/center Hjalte Froholdt earned Associated Press second-team All-SEC honors. Harris, who also was second-team All-SEC last season as a sophomore, led the SEC in tackles with 118 tackles, and is the first Arkansas defender to record back-to-back 100-tackle seasons since Jerry Franklin accomplished the task in 2010-11. Froholdt, of Svendborg, Denmark, did not give up a sack for the second consecutive season, and he graded out at 90 percent this season, according to Pro Football Focus on assignments. Harris is one of three underclassmen Razorback defenders along with cornerback Ryan Pulley and defensive tackle McTelvin Agim who are testing the NFL waters to learn their draft status. Harris and Froholdt aren’t the only Razorbacks to receive SEC honors on Monday. Freshman Razorback hoopster Isaiah Joe nabbed his first SEC Player of the Week honor on Monday after scorching the nets last Saturday in Bud Walton Arena. Joe, a native of Fort Smith, dropped 10 three-pointers on Florida International in a 121-89 victory in which he scored 34 points to lead all scorers. He hit 10 of 13 treys for a sizzling 76 percent from behind the three-point line. The 34-point performance was the most by any SEC player this season, and it ties him with assistant Razorback coach Scotty Thurman for the second-best scoring performance by a Razorback freshman. Thurman score 34 twice in his freshman season against Arizona and Missouri. Bobby Portis scored 35 as a freshman, giving Joe a goal to shoot for the rest of this season. Joe, who is averaging 16.3 points per game, ranks ninth in the NCAA in three-pointers made with an average of four per game. He’s shooting 46.2 percent from behind the arc, which ranks second in the SEC this week. As impressive as Joe’s shooting was on Saturday, Florida International evidently wasn’t informed that playing defense was allowed in the contest. Most of Joe’s three-point shots were uncontested, wide-open shots in a game that had the feel of a glorified pick-up game in the late stages. However, the inside-outside punch of Joe and Razorbacks sophomore big man Daniel Gafford is becoming formidable. The two are feeding off each other. The better Joe shoots, the less likely Gafford is to get double teamed, and the more effective Gafford is down low, the more open looks Joe and other Razorback perimeter players should get. 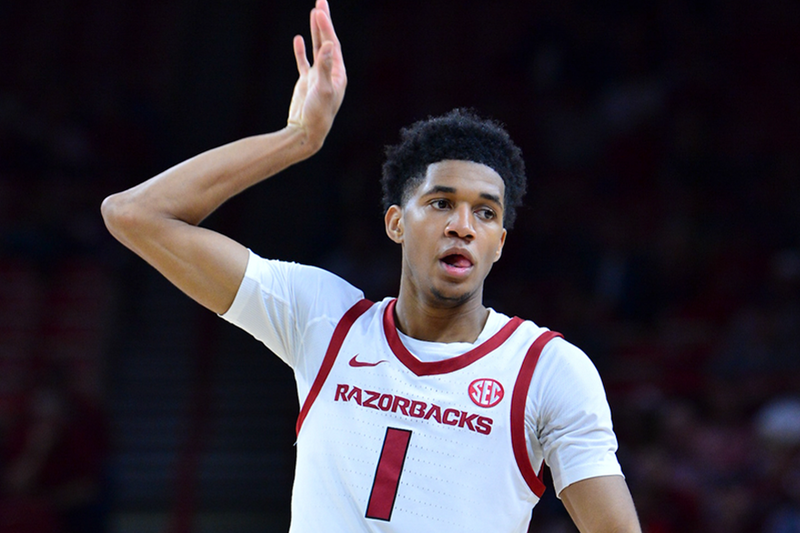 Gafford is averaging 19.8 points per game and 8.7 rebounds per game for the 5-1 Razorbacks, who are back in action at 9 p.m. (CT) Wednesday when they travel to Fort Collins, Col. to face Colorado State (4-4) in Arkansas’ first true road test of the season. The game will be televised by CBS Sports Network. The Razorbacks came up just short, 73-71, in overtime in a neutral-court game against Texas in the season opener, but the rest of the Hogs’ wins have been in the comfortable confines of Bud Walton Arena by comfortable margins. It will be interesting to see if Arkansas coach Mike Anderson can keep his young team focused on the task at hand. Sometimes easy wins with big scores can be fool’s gold to a young team that may not have learned how to handle success just yet. That along with the semester winding to a close can cause player’s minds to drift. The Colorado State game is a good test for the Razorbacks, but it is a game they need to win as they continue to build their case for a NCAA bid in March.